We were welcomed to KI with extreme bipolar weather. Not knowing the area, we went straight to Pennington Bay, where we took the first of many unsealed roads. 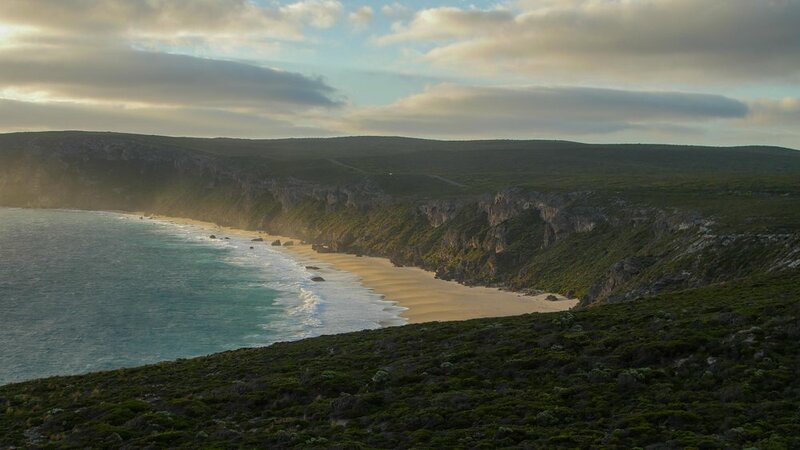 Pennington Bay is situated on the south side with nothing in between it and Antarctica, but the Tasman Sea. With that being said, we woke up to a shaking van from violent wind. We decided to get up to the protected North Side of the Island. We went to Emu Bay, a beach known for it's tranquil waters and hard packed beach access for most all cars. 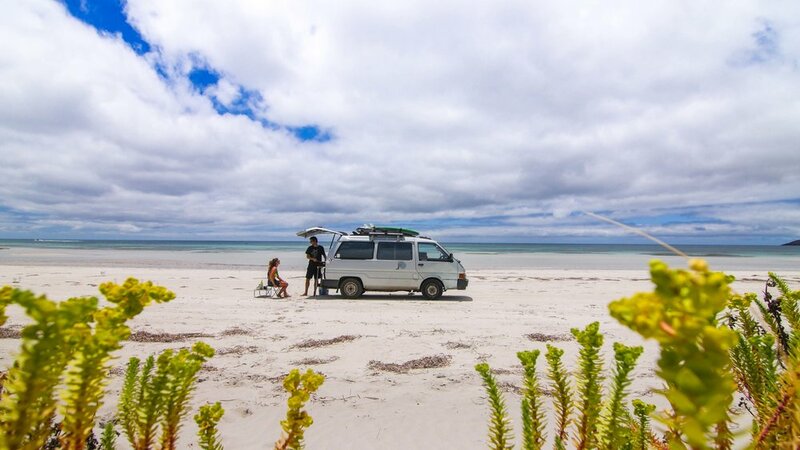 Being in a 2WD and always dreaming of driving on the beach like the 4WD vehicles, we could not wait to let our van dip his toes in the beach life. Upon parking at Emu Bay, we had the most relaxing day we have had in a while. We chilled, we read, we cooked, we tanned, we did van life to the max. After being satisfied on our successful beach day, we left in search of a place to crash for the night. We heard there might be free camping opportunities at Stokes Bay so we headed there with plenty of daylight. Stokes Bay has one of the most beautiful other worldly entrances to the beach. Seriously, I felt like I was in Star Wars or on Mars. We paused and enjoyed the scenery for a bit, but the camping was not really our style. We are more of off the beaten path type campers... where you go camping to get away from everyone. Here, the campsite was full with wall to wall campers with no room in between each campsite. So we moved on to the next beach, Snellings. We pulled up to Snellings just around sunset. The car park was empty. There was the most amazing beach hut with a table and breakfast nook right on the beach. It was almost like our own personal Air bNb. We checked in with Mother Nature and made some dinner in the shelter. 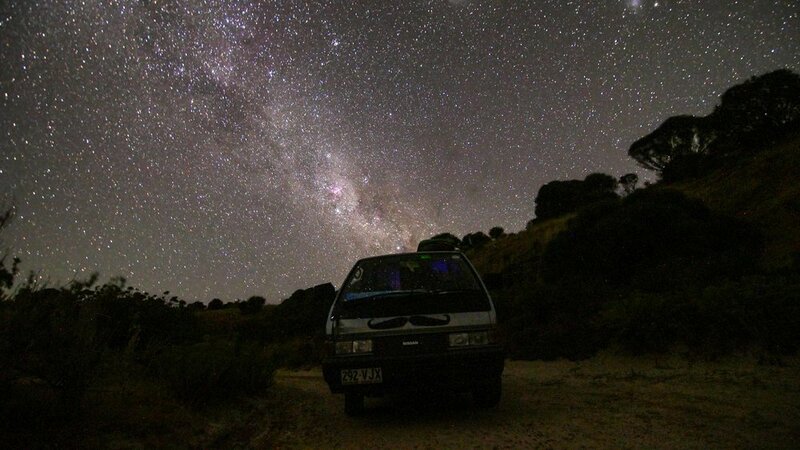 We hung out until the Milky Way came out to play and passed out in the van in the lower car park. The toilets were open all night. So convenient. 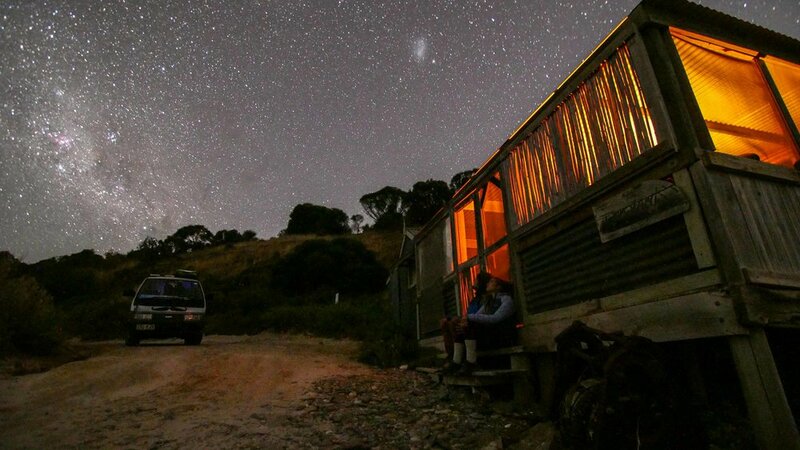 This was by far the best night on Kangaroo Island. We woke up in the morning and met another vehicle dwelling couple and talked with them for a bit about their KI experience. After spending breakfast in our breakfast nook beach hut, we moved on to see what else we would stumble upon. We drove over to Flinders Range National Park to check out all the hype. 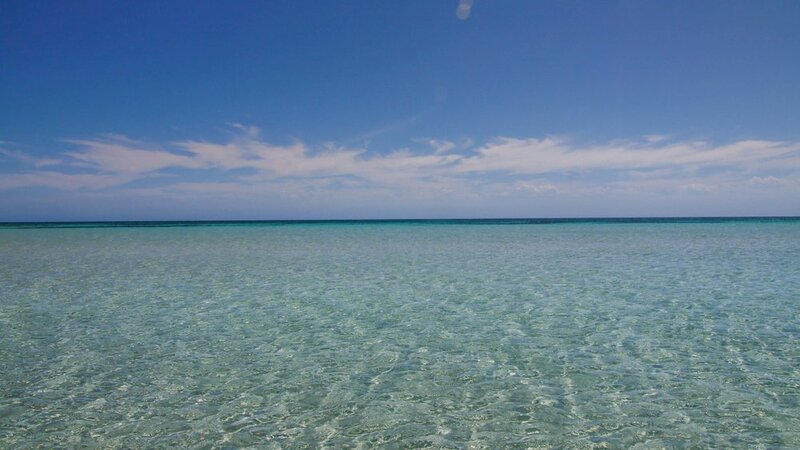 Since this is the only national park in KI we had top check it out. We were welcomed by Koalas in the trees at the visitor center. We headed out to the coast to check out the seals at Admirals Arch and then on to Remarkable Rocks. It was incredibly windy. We sought out shelter in the van for a bit and braved the wind. At the Admirals Arch, there are tons of New Zealand Fur Seals everywhere stinking up the place. We then headed to the Remarkable Rocks. We will admit they are some of the most bizarre rocks we've come across in our travels, even more so than the granite boulders in Girraween NP. The rocks are remarkable, but boy are they crowded. The Sealink bus drops off tons of tourist as well as other busses, we chilled in the van until sunset when all the tourist headed to their accommodations and we finally had the place to ourselves. You feel as if the aliens created these rocks. We enjoyed the sunset and slept in the parking lot, at the rocks. We woke up for sunrise and once again had the place to ourselves for about an hour until the influx of tourist started coming through. We left and headed back to the visitor center. There's rumors of platypus in a few pools behind the visitors center . So we walked to the pools, but never saw any of these elusive creatures. Since we didn't see any platypus we headed out. Next up, was a quick stop to the Little Sahara sand dunes for a quick look and walk around. It's actually pretty amazing how vast this sand dune section is for being in the middle of the island. We walked to the top of the largest sand dune, then ran/rolled down it. After an extensive sand brush off, we headed back to our favorite location on the island, Emu Bay. We spend the next few days chillin at Emu Bay reading and relaxing. After some chats with some amazing locals, we received an amazing tip on some crown land that was available for camping. This is where we spent the next few nights. On our last day, before the ferry back to the mainland, the weather finally cleared up on the west side of the island and we were able to get a nice surf session at Pennington Bay. With calm winds and decent swell, we finally felt like we conquered KI. After the surf, we raced over to their ferry terminal and headed back to the mainland with a very satisfied taste in our mouth from our KI expiereince. We drove on more dirt roads than we ever had, saw tons of wildlife, and just had an amazing time relaxing and winding down from an amazing road trip across the east coast of Australia. The most disappointing thing about Kangaroo Island was the price of the ferry. In our ferry experience, this 35 minute ferry ride was wildly overpriced at $190 AUD one-way. That is an international flight to New Zealand or Bali from Adelaide. But it was also the first time we actually stayed within our weekly budget due to the remoteness and having little access to stores. So that's a plus!